Jackson Hole and Grand Teton and Yellowstone national parks are crazy beautiful on ground level and as viewed from up high on a mountain top. But seeing the area from the air takes the descriptor “spectacular views” to a whole new level. 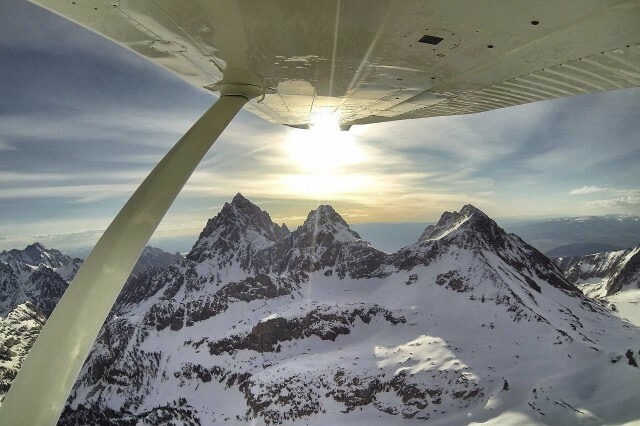 Jackson Hole Traveler editor Julie Butler recently took a scenic flight with Fly Jackson Hole. Not only did it cure her fear of flying, but it gave her a whole new appreciation for the landscape and environment she now calls home.